We are now almost one-third of the way through the 90-day comment period, during which you can tell the U.S. Army Corps of Engineers just what you think of the draft Environmental Impact Statement (EIS) on the proposed Pebble Mine. If you want a primer on what’s wrong with the EIS, read the excellent op-ed in the Anchorage Daily News by seven lodge owners, including Brian Kraft of Alaska Sportsman’s Lodge and Dan Michels of Crystal Creek Lodge. The U.S. Army Corps of Engineers is holding a series of public hearings to gather comments on the draft EIS. Anti-Pebble advocates are trying to get as many folks as possible to show up for these meetings. 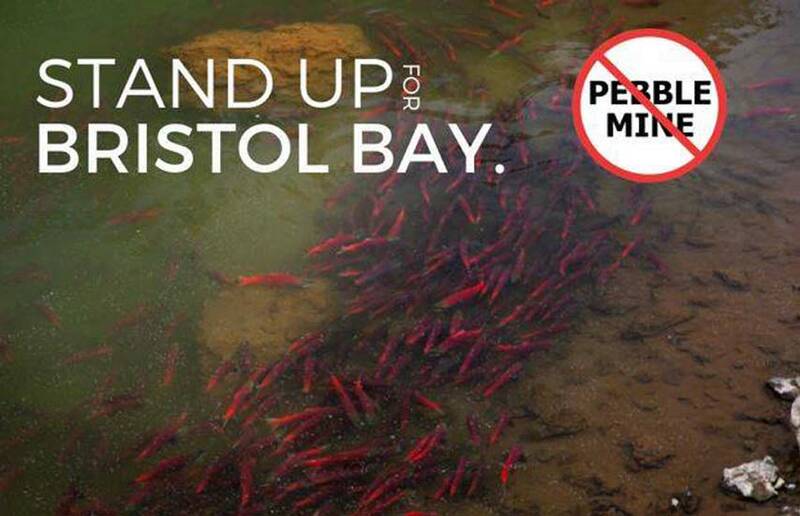 Save Bristol Bay plans rallies before the largest hearings, in Dillingham, Homer, and Anchorage. Click here to learn more and see the full schedule of public hearings, including times and locations. Ever since Gov. Ron DeSantis took office, there’s been growing momentum for Everglades restoration. These days, all the talk is about funding. According to an article in the Sun-Sentinel, Florida lawmakers are working on spending bills, with the Senate proposing $360 million and the house $327.4 million. The Chesapeake Bay Foundation recognizes that saving the Bay is uniquely tied to restoring the native oyster, Crassostrea virginica. It costs about $1 to plant 100 oysters, and CBF is hoping to raise enough money by March 31 to plant 2 million oysters. This is a great time to give because Orvis will match all donations from now until the end of the month. That means every dollar you give will fund the planting of 200 oysters. Double the power of your donation! For more information on oyster restoration in Chesapeake Bay, click here. Click here to donate to CBF’s Oyster-restoration efforts.